Has anyone tried the cheap trademe scopes? Thread: Has anyone tried the cheap trademe scopes? I saw this one trademe for $7.08 shipped. They recommend them for air rifles, but I want to try it with my Jaguar crossbow. Has anyone tried these? I got a cheap trade me scope that made things smaller. If jou are going to get one just go straight to ali express and cut out some middle mans clip. dogmatix, shooternz, Tussock and 1 others like this. gadgetman, Steve123 and TianBotha like this. How so? Has this happened to you? A spring piston air rife will shake cheap scopes to bits with the dual direction recoil impulse (ie rearwards and then forwards). The forward motion is the one that most scopes are not engineered for. Air rifle scopes are specifically engineered for this. However the one in the link is a piece of crap. You may as well look through a coke bottle. If you are determined to get crap, do as Steve said, just buy direct from Ali-Express and cut out the middle man. Trademe is basically full of cheap/crap airsoft optics. Buyer be warned. tetawa and northdude like this. The only fail safe way to get the right scope is to go to a shop. Eye relief is the critical decider. Most firearm accessories sold on trademe are crap made from melted down beer cans in some dodgy back ally shed in the most backwards place in China. Go to a good Archery shop and get one recommended for crossbows you will have some come back if it fails. Add the horizontal / vertical vibrations of the main piston spring. Either way, a multidirectional stress on a acope. Aquality springer air rifle scope and a quality centrefire scope are not necessarily interchangeable. Definitely do not put a cheap scope on a apringer air rifle. The one you linked in OP is really crappy, I bought it for an air rifle as well and you can't even sight it in the knobs literally don't work. 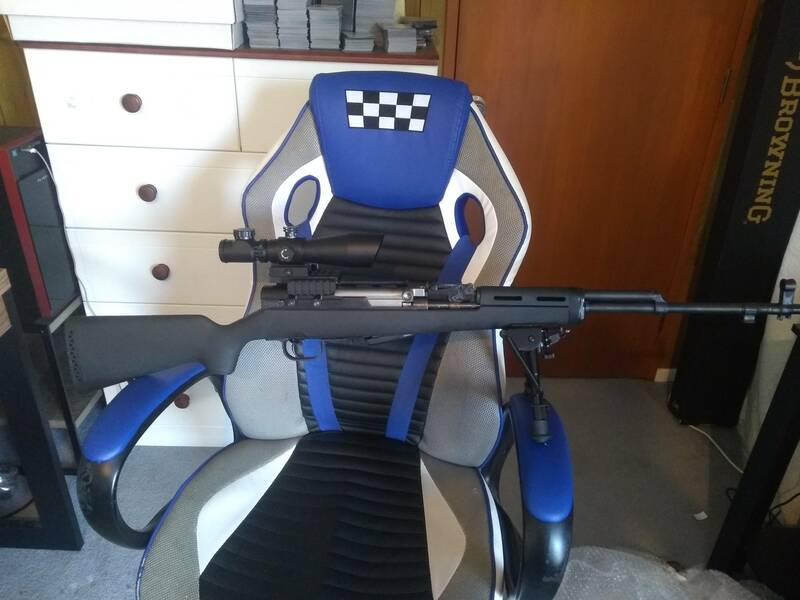 Not all Chinesium trademe scopes are terrible though, I put a 3-9x42 I got for $100 on my SKS and it does the job really well. Holds zero and I hit what I aim at, haven't had any issues with it. Air guns need airgun rated scopes , and crossbows need crossbow rated scopes. mudgripz, gadgetman and ROKTOY like this. @DaleGribble give it a go. What's to lose? Couple of bucks?